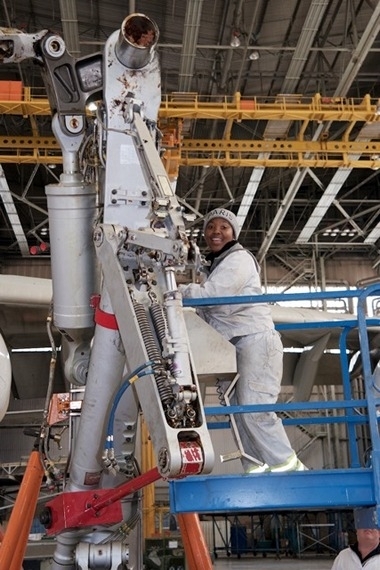 South African Airways Technical (SAAT) is justifiably proud of winning the Aircraft Technology Engineering & Maintenance Award (ATE&M) for the Best Line Maintenance Service Provider. The ATE&M awards are presented by the MRO Network, which stands for Maintenance, Repair and Overhaul. You really do need to know your acronyms if you're involved in aircraft maintenance. Acronyms aside though, it is quite an achievement particularly considering the competition from Major organisations throughout the world. 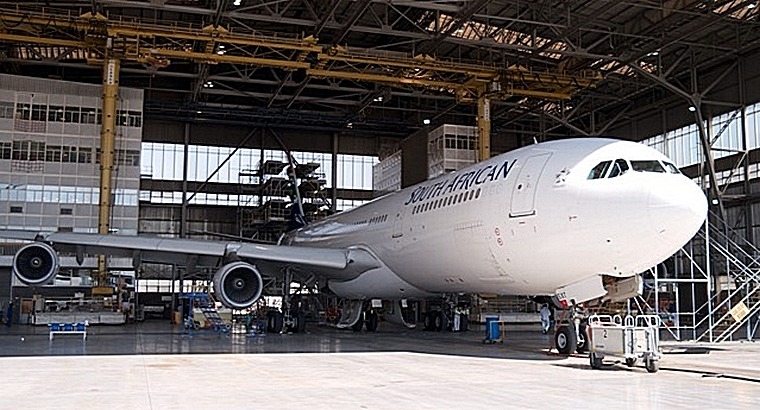 SAAT has a very impressive facility, which was originally started over 70 years ago purely and simply to maintain the aircraft operated by South African Airways. That is the way it was back then. Airlines, particularly National Carriers, were operated by the government as a public service without really needing to turn a profit. Airlines maintained their own aircraft mainly due to the cost involved setting up an MRO. Whilst I don't wish to enter into a political debate or express an opinion, it is a fact that the previous government's policies led to sanctions against the country. This was, ironically, what led to the advancement of the Technical section of the airline as it was then. Put simply, if the country couldn't get help from other countries, it had to learn to do things locally. Over the years much has changed. Airlines in most countries are no longer a public service; they are a business tasked with making a profit. Many "National Carriers" have been privatised and operate as private companies. Some airlines have abandoned their maintenance facilities altogether choosing to farm all work out to third party providers. 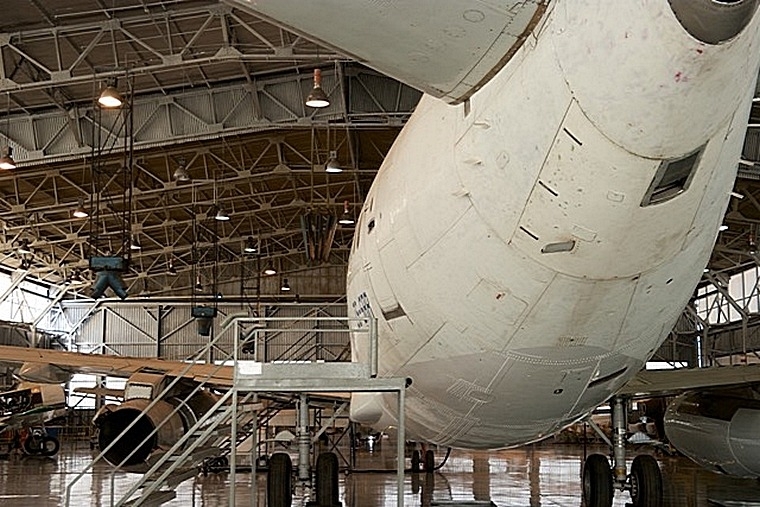 Some airlines limit in-house work to every day maintenance with major maintenance going to outside companies. 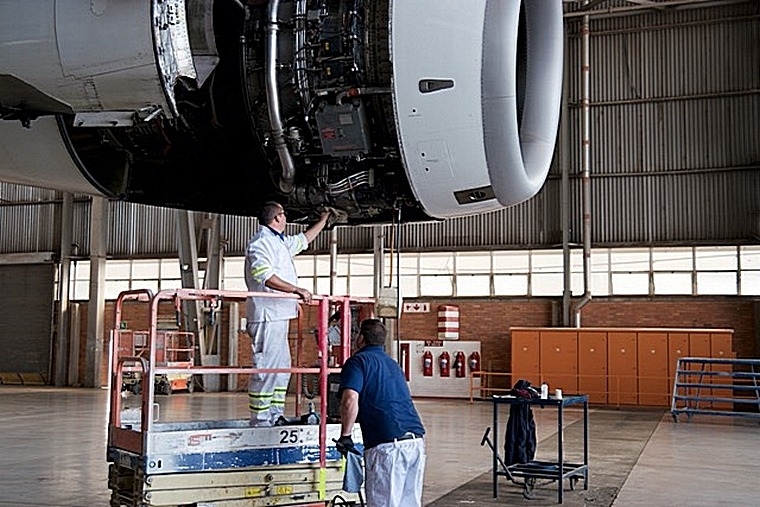 Some have spun their MRO organisations off to operate independently, maintaining the airline's aircraft as just another customer whilst competing for third party work, and that is the case with SAAT. SAA Technical has around 85000 square metres of hanger space. Of those, 36000m2 is taken up by one hanger on its own, making it the largest Hanger in Africa. Hanger 8, the Major Maintenance hangar, can handle five wide-body aircraft simultaneously. It is equipped with a multi-purpose dock capable of handling Airbus A340 200, 300 and 600 variants. The future looks bright for SAA Technical with customers throughout the world. The company's skills equip it for maintaining many aircraft types, including Airbus A319, 320, 330 and 340 as well as Boeing 737 and 747. Soon the Boeing 777 will be added to the list. As far as component workshops are concerned, there are too many to list. However, the landing gear workshop is particularly impressive. 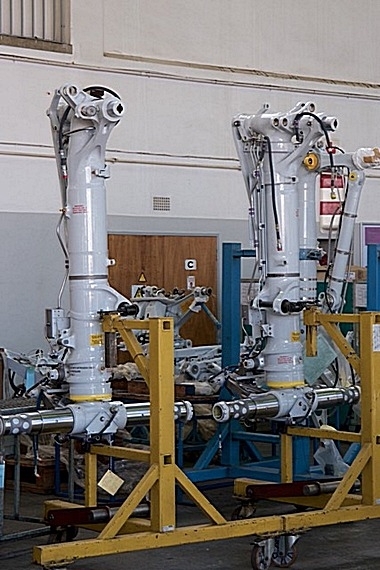 If you have Boeing 737, Airbus 319 or 320 landing gear in need of and overhaul, these are the people to come to. 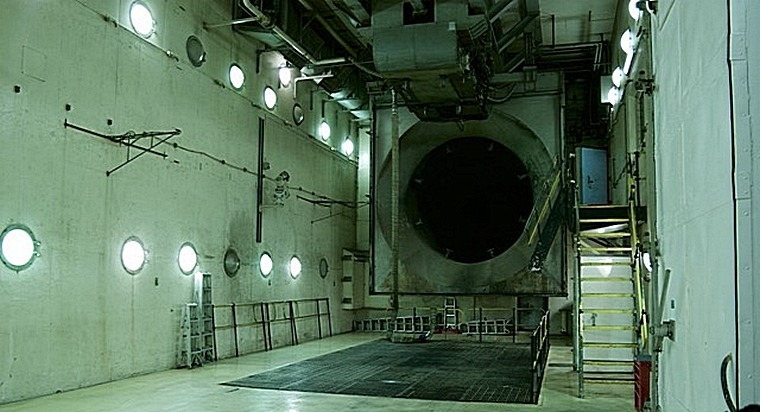 Most interesting though, is that SAAT will soon be reopening the Jet Engine Overhaul Shop. All of the infrastructure was already there, so with very little additional investment the "Jet Shop" will be up and running within the next couple of years. 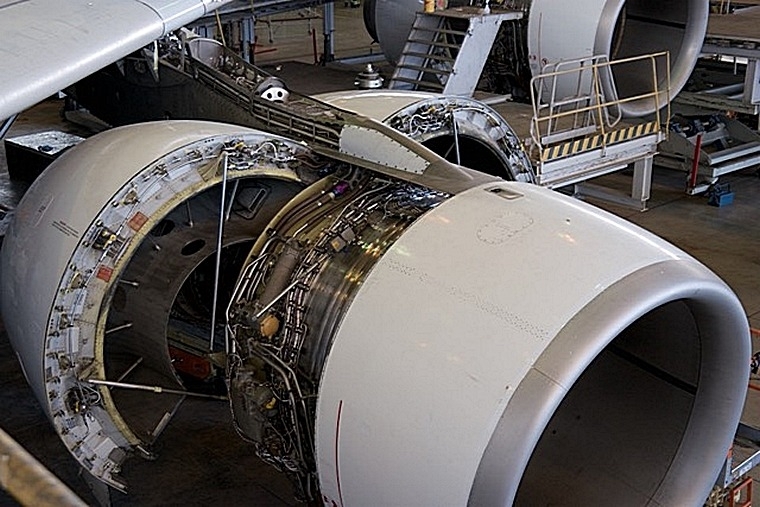 Initially the facility will be used for the complete overhaul of the CFM 56-7B Engine as well as auxiliary power units. I say initially, there are no plans to take on any other engine types but you never know what the future may hold. 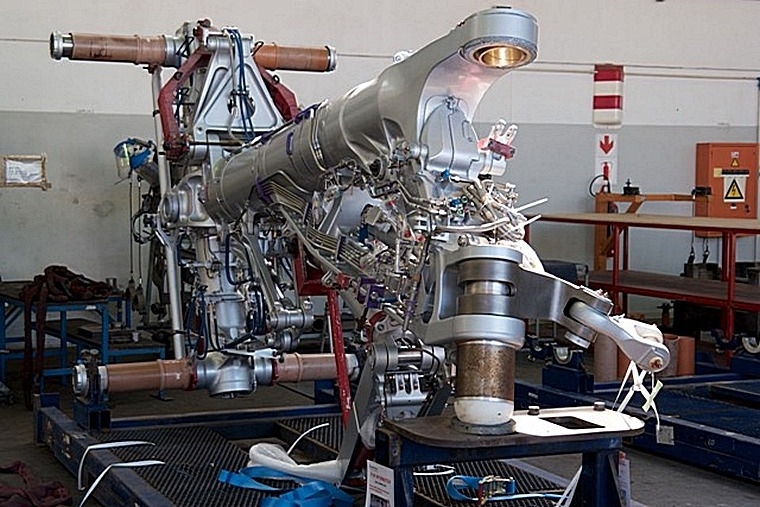 Interestingly, before the test cell can calibrate any engines, it needs to be calibrated itself. 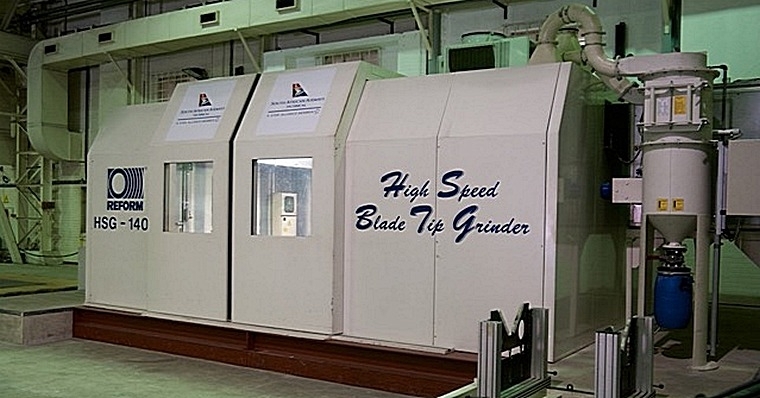 This involves bringing in a CFM test engine which is known to be exactly to specification and ensuring the SAAT test cell records the same results. Of course none of the impressive capabilities on offer would be possible without training. SAAT has one of the best apprentice programs in the world. All technicians are trained in house from day one and the technicians are "poached" by airlines around the world. Technicians trained by SAA Technical are held in high regard throughout the industry.